S M Ong: Another even more 'discordant note'? In Parliament on Monday, Minister-in-charge of the Civil Service Teo Chee Hean said that senior permanent secretaries and entry-grade ministers will be getting a 20 per cent pay cut. This made sense. Singapore is in a recession. Many Singaporeans are too facing pay cuts and even lay-offs, that is if we still have jobs. So it seems fair that our civil servants should also make some sacrifices. And then it was revealed that after the 20 per cent pay cut, these civil servants will receive a reduced annual salary of $1.54 million this year. It was a sum that most Singaporeans will not earn in a lifetime or 10, even without a recession. Suddenly, the words "fair" and "sacrifices" don't apply any more. That our civil servants are among the highest paid in the world is old news. 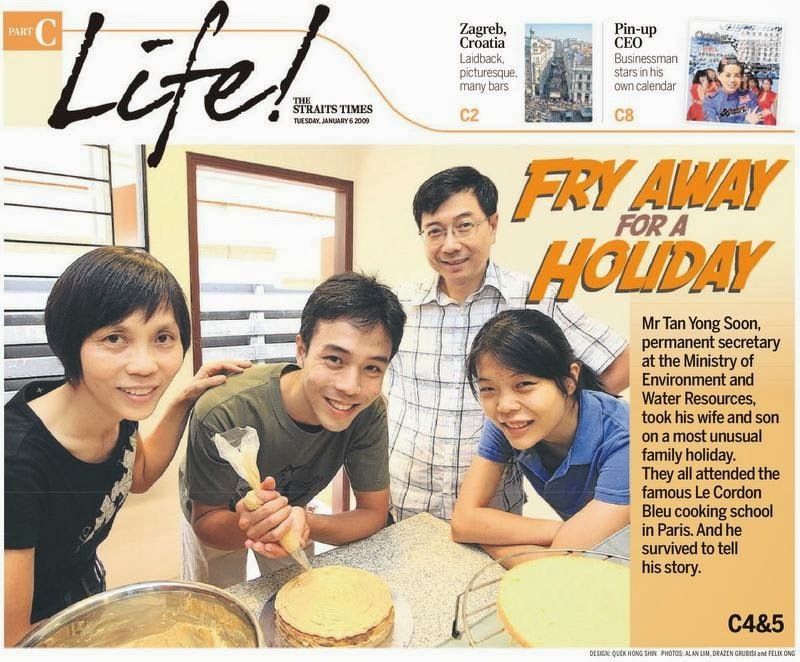 What is ironic is that on the same day in Parliament, Mr Teo also expressed disappointment with an article that Mr Tan Yong Soon, the permanent secretary at the Ministry of Environment and Water Resources, wrote in the Straits Times about spending $45,000 on a cooking course in France for his family. 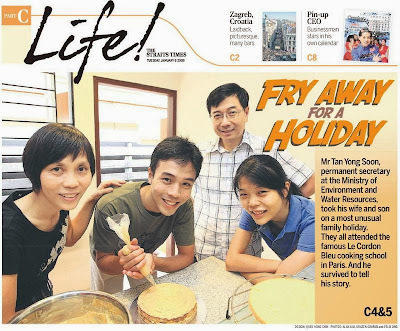 "The article showed a lack of sensitivity and was ill-judged," said Mr Teo. "It struck a discordant note during the current difficult economic circumstances where it is especially important to show solidarity and empathy for Singaporeans who are facing uncertainties and hardship." The same could be said about revealing that civil servants will be making more than one and a half million dollars this year - after a pay cut. The issue isn't whether the high salary is justified. The issue is that calling attention to it during the current difficult economic circumstances shows a lack of sensitivity. Especially when, as Mr Teo pointed out, it is important for civil servants "to show solidarity and empathy for Singaporeans who are facing uncertainties and hardship". Is it possible for anyone to empathise with "Singaporeans who are facing uncertainties and hardship" when your pay is cut to $1.54 million a year? Was the timing of the pay-cut announcement ill-judged, underscored by the unfortunate juxtaposition with the criticism of Mr Tan's article? Isn't Mr Teo in effect doing what he is chiding Mr Tan for having done? Or perhaps we should applaud the Government for its transparency to the point where it chastises one of its own so publicly. In which case, paradoxically, we should commend Mr Tan for being the most transparent of all.